Looking for a garage to fix your Brakes in Blackburn? Save money: Instantly compare Brake Repairs prices in Blackburn to find the best deal. Quick and easy: Simply enter the registration number of your car and your post code, compare prices, choose a local garage in Blackburn and book your Brake Repairs. "Great service. Friendly and helpful staff." "Pick up car from work"
"Did my research regarding 1st service due for my car. Main dealer price just bonkers. 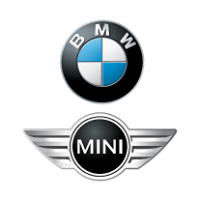 Ewood mot and service use same parts and my BMW Warranty still valid.Invoice and e mail to back it up. Excelent customer care even got a cup of Tea :)"
"This is a very reputable garage, did a great job and a great price, even washed and vac’ed the car." "1st visit i went for advice on exhaust blowing , I rang around to have it fitted and they were a bit dearer than my other quote but was closer to home 2nd visit, front exhaust fitted . 3rd visit MOT . 4th visit (most probably) pending on quote given for work ha ha"
"A service is a service but a full valet and the car looking to be in showroom condition is going the extra mile. Thank you." "Friendly approachable and helpful staff. Great price on MOT with a full service"
"Very happy with everything.. great service"
"I managed to book my car in for an inspection at short notice and they replaced the rear pads and discs after diagnosing the warning light - very good service"
This might sound like a question with an obvious answer: you need a garage that can service or repair your car quickly and at a good price. But think again and you may realise there are other factors that affect your choice of garage in Blackburn. If you need to bring your son or daughter with you when you take your car in, are there toys in the waiting room? If you’re dropping the car off between school and work, can you pick up a cup of coffee while you’re there? Might the garage even collect your car and drop it back at your house after the work is done? You can find answers to all these questions on BookMyGarage.